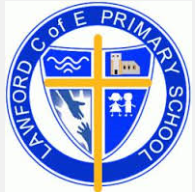 For the past three years, Highfields has been working strategically and collaboratively with Lawford C of E Primary and Dedham Primary School. The Three Heads meet regularly to plan valuable training for Governors, Senior Managers, teachers and support staff. Each term teachers have opportunities to spend time in each other’s schools, observing and planning opportunities for sharing ideas and moderating samples of children’s work. This year, the Head teachers have begun to carry out peer mentoring in each other’s schools initially taking the form of joint lesson observations in order to verify judgements. We have found the partnership very helpful and supportive in moving the school’s development forward. Combining the expertise in each school is very powerful. On Thursday 9th March, we were visited by the head teachers from Lawford C of E and Dedham Primary schools. Donna Wenden and James Aylott carried out a review of one of the priorities on our School Improvement Plan. The focus was to look at the provision for our children who are eligible to receive the Pupil Premium grant. Donna and James talked with a selection of parents, visited classrooms, looked at DATA; spoke with the Inclusion Governor and also the children. Peer reviews are taking place in both of the other schools this term and I am looking forward to spending time reviewing an aspect of their School Improvement Plans. We can all learn from each other and share our experiences to ensure that we continue to progress and make our schools the best they can be.